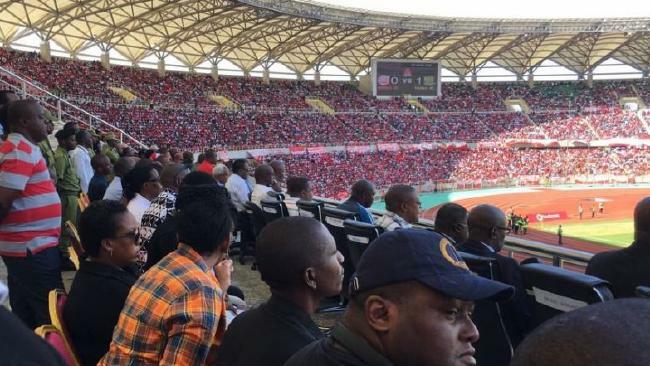 A fan in Tanzania has incredibly lost his wife in a bet on the Dar es Salaam derby. Two supporters bet on the match between Simba and Young Africans SC (commonly known as Yanga). The wager specified that the winner would get to spend the night with the loser’s spouse. And a contract was even signed to make it legally binding. Simba ran out 2-1 winners in the match, which meant that the Yanga fan was technically supposed to give up his wife. But it is believed that the pair eventually reached a financial agreement instead. Nevertheless, the Simba general secretary confirmed that fans of both teams often lose their wives in bets. He also offered the BBC World Football podcast an insight into his passion for the club, and its history. At one point Simba were actually named Dar Sunderland. And to this day they still wear the Black Cats’ red and white colours. The club's general secretary also confirmed that his house is decorated from top to bottom in red and white. And he added that his wife is forbidden to wear anything in Yanga's green and yellow. Derbies between the two teams average crowds of around 60,000 fans and a match in October saw seats ripped up by rioting fans.